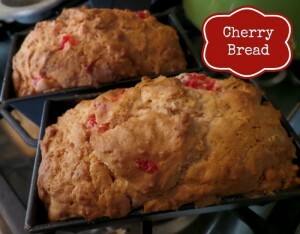 This is a super yummy cherry bread recipe. 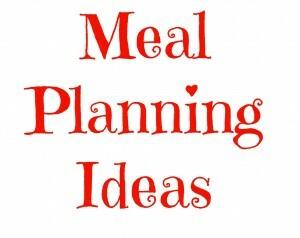 Making it in small mini loaves pans, makes it a great gift for friends. Or freeze two and eat 1, making the bread last longer. It is great sweet treat perfect year round. Wrap the cherry bread in cellophane and ribbon and it’s a perfect for a gift for family and friends. In a bowl, cream the cream cheese (this will make it fluffy), then add in the butter and cream it some more. Add in the sugars until blended, then add in the eggs and vanilla until incorporated. Add in the cherries and walnuts and mix again. Add the baking powder, baking soda and flour and mix. Place batter into a greased loaf pan. I haven’t had homemade bread in a LONG time. This looks really good, even though I’m not the biggest fan of cherries. You could definitely try another fruit of your liking, maybe strawberries? That sounds delicious. Do you think I could use dark cherries instead of Maraschino? I think you could, it would have a different flavor with the different cherries, but still good!